It has been few weeks since the last posting. 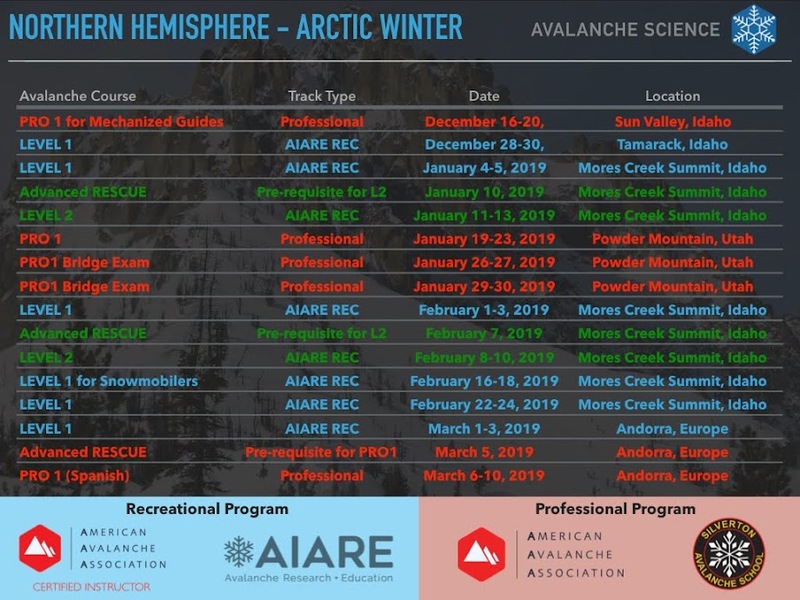 The last weekend of January I was teaching the final session of a NSP Avalanche Level 2 course at Soldier Mountain Resort. I was privileged to have some of the hardest working students any instructor can ever wish for. After a December weekend at Brundage and the Payette forest, another January weekend at Bogus Basin and Mores Creek Summit, and a final weekend at Soldier Mountain resort, with the last day touring around Peak 1, it was time to be done with this NSP course. Once the NSP AVI L2 course was completed, I switched gears to ski guiding trips for Wallowa Alpine Huts (http://www.wallowahuts.com/). The last week trip was my second guided trip for the season, and it was a trip full of POW turns, and a MOST fantastic group of clients. Slopes below 8000 feet rewarded us with safe steep skiing (excess of 40 degrees!). Anyway, time to switch gears to the Idaho Mountains. Today I skied Bogus sidecountry with Fritz, my 16 year old son. We had a great time skiing the North bowl of Bob's Knob as well as its NW glades to the north-east of the Pine Creek Chairlift. The next short video was filmed today during our outing. Not bad skiing considering the the snow was Moist! Nice open slopes (above), and fabulous tree skiing (below). But not everything was perfect - we had periods of DENSE fog. The snow depth ranged from 1.4 to 1.6 meter, and the hardness transitions gradually from Fist (top 20 cm), to 4F (next 40 cm), to 1F (60 to 1.2 m). The bottom 10 cm of the pack has DH but is showing signs of bonding with a hardness of 4F, not the typical cohesion-less crystals. Compression column stability tests had Q3 quality shears at 30 and 40 cm, with Moderate and Hard compression scores respectively. The most recent 10 cm layer of new snow above SH was reactive to "tilt test" in "easy range, but the "shallow" soft slab conditions make it hard to detect during compression tests (CTEQ2). This layer is of little concern to the terrain we skied today. It is likely that the VERY moist top snowpack and warm temperatures will provide the conditions to destroy the SH below the new snow. But as snow continues to accumulate it will be prudent to track this weak layer. Deep tap tests (where the top 50 cm of the snowpack was removed) did NOT produce any fracture below the 50 cm from the surface to the bottom of the snowpack. This is the first time of this season (for me!) where the bottom layers of the snowpack did NOT react to CT tests. The snowpack observations for the Bogus Basin sidecountry are encouraging, and I hope they reflect a trend for the region, where the early season deep instability starts to become a lesser concern. As the we returned to the top of Pine Creek chairlift the mid-afternoon fog started to clear. Mores Mountain, north of Shafer Butte - Bogus Basin (not Mores Creek Summit). View from Shafer Butte to the West, into the fog covered Boise Valley. I will attempt to go an a "Dawn Patrol" later this week, if we get new snow (maybe Wednesday), and share more obs on ski conditions for our area.